Were Chief Ministers ruling over the State, the law-breakers would have got exemplary punishment. 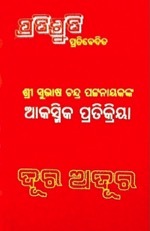 But unfortunately Orissa is ruled over by individuals, from Biju Patnaik to his son Naveen Patnaik. Their individual passion, emotion and intention affected administration. 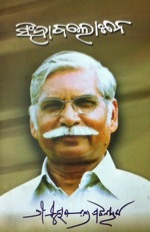 Therefore Bulei Nayak, one of the lowest paid employees of the State, has not been able to get justice from the government whereas the agents of law, who perpetrated a very heinous and savage assault on his basic human rights in a rainy night of May in the year 1993 have remained unpunished in spite of a direction from the National Human Rights Commission, and been rewarded with promotions in service. The man who was famous as the founder of the Kalinga Award for popularisation of science had no regards for the rights of the people. He had no respect for human rights. He once confessed that he had given a carte blanche to truck drivers to crush any body who comes over their path during construction of the Paradeep high way and how he had directed the administration to ignore any complaint over loss of life under the wheels of speeding trucks engaged in the high way construction. He was the first mafia to have captured power in Indian politics. He had tactful agents who were able to befool innocent Oriyas in hustings. But once Biju Patnaik was capturing power he was using his position for personal benefits to such extent and causing such anarchy that the people of Orissa were punishing him for at least two consecutive terms,till atleast they partly forget his misdeeds.. But when he became the Chief Minister for the last term, the lower bureaucracy did not wait for the people to punish him. They assaulted him physically in the Secretariat. That was on 6.5.1993. Anarchy had engulfed the entire State. The Chief Secretary and other senior officers were assaulted by the ministerial staff and class-iv employees of their own offices.The police was pressed in to action like dogs to capture and punish every individual employee who had allegedly participated in the assault. 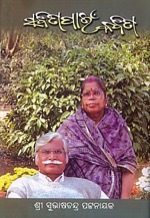 Abhimanyu Mahapatra was one such employee;a peon in the secretariate. Bulei nayak is his nephew. According to unsubstantiated police assumption, Abhimanyu had absconded after the assault. But, he had not. He had taken leave to attend to his bed-ridden mother .In fact she passed away on 14.5.1993.Sure that he must be in his house in the twelfth funeral night to perform the last offerings to the departed soul, police stormed in to his village residence in the midnight of 25.5.1993. Abhimanyu had gone to his maternal grandmother’s residence with a portion of the last ritual feast and hence was not readily available. Police mistook it as an act of escape and held Bulei responsible for the same. He was dragged to the team leader, Bishnu Prasad Mohapatra awaiting in a police vehicle at the outskirt of Abhimanyu’s village and was brutally assaulted by Mohapatra who was an additional S.P. of Cuttack. He was forced to stand stripped on the street under the torrential rain. He was tortured by police for the rest of the night and paraded from village to village in the guise of searching for Abhimanyu. The police sacrileged the funeral feast, outraged the modesty of the women folk, ruined the social standing of Bulei, even though he had no hand in the secretariat violence and/or in the suspected escape of Abhimanyu. No civil society could have countenanced such brutality. Naturally, Orissa condemned this illegal action. Cross sections of the general public, political parties, social activists, government officials, and the media as a whole condemned this act of atrocity. Government was compelled to order for a crime branch investigation. It is interesting to note that there was no public cry for punishment on perpetrators of the assault on Biju Patnaik or on the chief secretary and other senior officers, but the whole of Orissa showed its solidarity with Bulei. He personified the sufferings of the mute public in the hands of police and higher bureaucracy in the regime of Biju Patnaik. The crime branch S.P., as was expected of him in the circumstances, did his best to hush up the crime in order to help B.P.Mohapatra and the police team that had assaulted Bulei at his instance. After sleeping over the matter for more than a year, police ended investigation with a final report. Bulei filed a protest case in the appropriate court of law seeking an order on point of cognisance of offence. The learned magistrate by misinterpreting Sec.197 of Cr.P.C., reached at a conclusion that the accused police officers were protected under that section and solely on that ground rejected Bulei’s case. Being aggrieved by such non-availability of justice, he preferred a criminal revision in the next higher court which unfortunately ended with an observation that assault by police in course of investigation can not be held to be an offence. According to the learned court, the act complained of had close nexus with the discharge of official duty and the torture perpetrated on Bulei can be related to discharge of that official duty. Admittedly the police planned and executed the raid on Abhimanyu’s residence in the night of 25.5.1993 when funeral rituals were being conducted. Abhimanyu was a permanent government servant and was on leave and was never supposed to relinquish his job and evaporate. He had not been charged for abandonment of his services. No court had issued any order for his arrest. So police was not supposed to be in a hurry to arrest him in the midnight .He could have been taken to custody after his joining on completion of the funeral function. By deciding to raid the place of funeral feast and by executing this decision, the police perpetrated a sacrilege on the funeral function itself. No law or lawful authority had required the police to cause such a sacrilege. On the other hand, Bulei was never in the police search list. He was not at all involved in the secretariate violence.He was in the residence of Abhimanyu in that night to offer last funeral respects to his departed maternal grand mother. The police brutalised him. How could such uncalled for and unauthorised police action be termed as official duty! Bulei is fighting against this injustice all alone. The state was supposed legally to fight for him. Had the police been honest and the state been administered by Chief Ministers instead of individuals, actions against blatant transgression of Bulei’s basic human rights would have been taken by the State. In stead of Bulei, the State should have prosecuted the offenders. The National Human Rights Commission had rightly addressed a letter to the then Chief Minister Biju Patnaik prodding him to start penal actions against B.P.Mohapatra and other offenders, but Patnaik rewarded him with promotion and prize postings. He made a mockery of the advice of NHRC by ordering the matter to rest with the observation that there was no malafide intention in the act of assaulting Bulei. 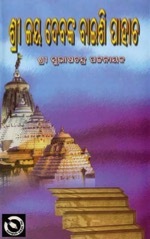 Mohapatra was simply advised to be “more cautious”. The NHRC held Mohapatra guilty of transgression of human rights and ordered for payment of Rs.5000/- to Bulei to “redeem his honour”. 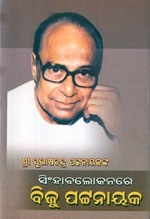 By that time Biju Patnaik had been ousted from power by the people. J.B.Patnaik had taken over. Chairperson of NHRC ,in his D.O.No.18/50/94-LD,addressed to J.B. on 23.7.1996,noted with anguish, “I would like to point out that when the Chief Minister cautioned the Additional S.P. 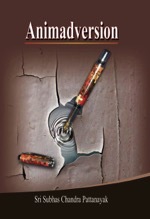 (which was not questioned), it meant that the facts were true and the Addl. S.P.’s involvement was not doubted.” NHRC stressed that “If the allegations were true, malafide or not, the situation for penal action arose.” It is strange that the State failed to initiate any penal action against Mohapatra. J.B. Patnaik noted on the margin of the NHRC letter that a sum of Rs.5000/- may be paid to Bulei and the executive paid the amount from the Chief Minister’s Relief Fund ! The present Chief Minister Naveen Patnaik’s close aids including most of his current cabinet colleagues have asked for recovery of that amount of Rs.5000/- from the salary of B.P.Mohaptra. But Naveen Patnaik does not heed to this. The offender remains unpunished. Would Naveen Patnaik rise to the occasion and take steps in right earnest to punish B.P.Mohaptra and others, who after perpetrating the crime have succeeded in hushing it up? 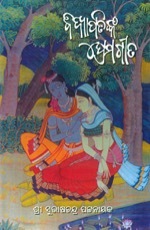 It is strange that Jayadeva, the court poet of King Laxman Sen of Bengal is not recalled by the Bengalis. This is because, most Bengalis have mistaken Orissa’s Sri Jayadeva as the court poet of Laxman Sena and misled rest of their folk in this regard. Not that Bengalis are unaware of a Jayadeva hailing from their state. But after mistaking Orissa’s Sri Jayadeva as the court poet of Laxman Sen and after spreading many a concocted stories in support of their misconceived claim, they are now reluctant to admit the truth. 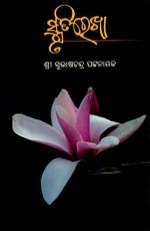 The eagerness to bury the truth forever is so very rampant that an eminent scholar like Dr Suniti Kumar Chatterjee has tried to project a group of verses attributable to Jayadeva, the court poet of Laxman Sen, compiled in a work titled Sadukti-Karnamruta, as the verses written by Sri Jayadeva of Orissa who was never a court poet of any king, let alone of Laxman Sen! A section of the Bengalis had the audacity to claim that Oriya was not an independent language but a part of their own! Later of course, the linguist in Dr S.K. Chatterjee admitted that Oriya was the elder sister of Bengali as a language (vide I.H.Q. Vol XXIII, 1947-page 337). Suffice it would be to say that, envious of the tremendous cultural tradition of Orissa where lucid lyrics were not only written on palm leaves but also carved in the lovely damsels and stubborn lovers, in the devout warriors and divine philosophers, on the countless temples, a section of Bengalis had, in the past, made an all out attempt to misappropriate the Oriya language, culture and literature. In respect of Sri Jayadeva, author of the most popular love-lyrics, compiled under the title Sri Gita Govinda, they have attempted to do the same. Stories and sequences have been cleverly concocted and misinterpretations have been deliberately made to make out a case that Sri Jayadeva of Sri Gita Govinda was not an Oriya by birth, but a Bengali.